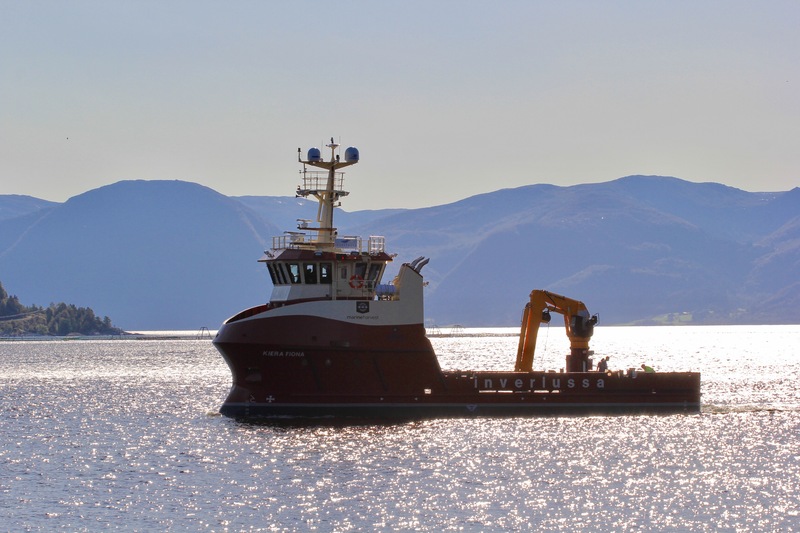 The Mull based company, Inverlussa Marine Services, takes delivery of their second vessel the Kiera Fiona, from Norway’s Havyard, the first vessel, the Gina Mary, was delivered in May this year. These Aquaculture Support vessels, were designed by Macduff Ship Design in Aberdeenshire and built by Havyard Ship Technology in Norway, increasing the Inverlussa Marine Services fleet to 11 vessels. Following years of experience operating in this sector, each ship was uniquely designed for the aquaculture market, to the meet the ever-changing technology within the market and to anticipate future demand. Both these vessels will be operating on contracts for Marine Harvest Scotland, supporting the 49 sites owned and worked by the world’s largest producer of farmed salmon. Their main duties will be to assist with fish treatments and general site work activities. This is the first time that Inverlussa Marine Service has used ship builders outside Scotland to build their vessels.